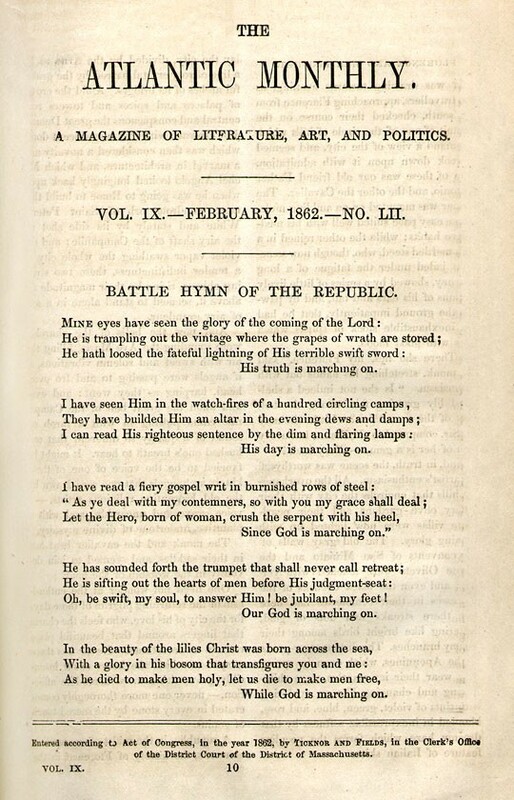 The lyrics to Julia Ward Howe’s patriotic classic premiered in the February 1862 issue of The Atlantic. Click here to see a full-page image of the poem in the February 1862 Atlantic. Julia Ward Howe was a poet and author. She is best known for “The Battle Hymn of the Republic,” which was first published in The Atlantic.